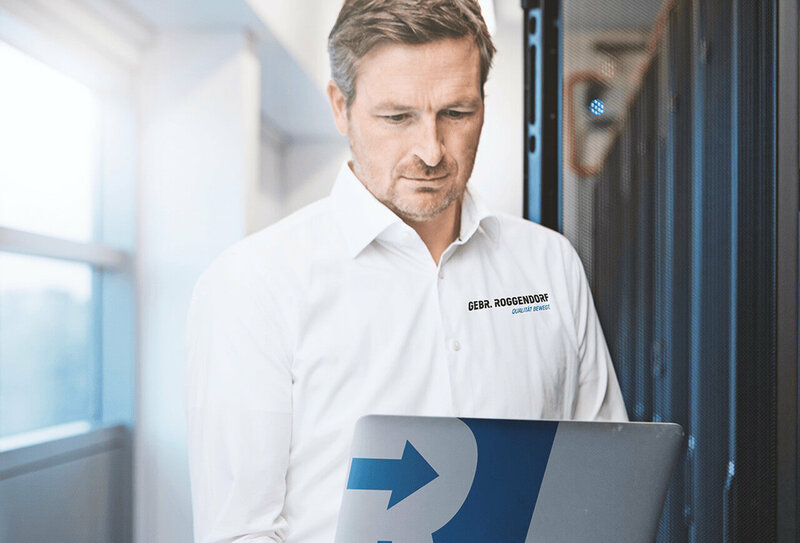 IT move / IT services | Roggendorf – Quality moves. Are you planning a new build or do you want to reorganise your infrastructure? Roggendorf has 40 years of experience in the IT and computer sector. We have completed over 220 IT moves in the last three years alone – amounting to a total of over 42,000 IT jobs! Our team consists of IT experts, system integrators and electronics engineers. This guarantees high quality and consistent results. We analyse, plan and install your technology throughout your building using cutting-edge methods and always with, flexibility and cost effectiveness in mind. Of course, we not only take care of your client stations – if necessary, we will set up your entire server landscape and complex stand-alone devices or help you with the complete rebuilding of your IT infrastructure. Relocating a data centre poses a particular challenge for its operators. Thorough preparation well in advance and developing a relocation strategy are essential. On request, we can provide you with experienced IT consultants who will help you create a project plan that takes into account all the important questions that should be addressed when undertaking an IT move. You’ll need to, for example, have a data backup concept and a setup plan for the new premises. We prepare for the transportation of your sensitive IT equipment in close consultation with you, ensuring that everything reaches its destination undamaged. We provide maximum safety for your shock-sensitive devices: we use air-suspended lorries and special packaging solutions and, of course, secure every load correctly. If necessary, for extra protection against moisture, we can also use air-conditioned vehicles. As an extra precaution, we recommend that mirrored systems are transported in different vehicles. We guarantee to handle your valuable items safely and with the utmost care.